A great selection of quality used cars and vans in Oxfordshire. A local family run business established for over 30 years. Operating from a showroom sales site with full workshop and MOT facilities. Full dealer facilities available on all used vehicles. Please select one of the pages above. Vale Garage Stanford in the Vale nr. Faringdon Oxfordshire, SN7 8NN. we are located just off the main A420 Swindon to Oxford road on the A417. Close to the Wiltshire boarder and M4 Motorway. 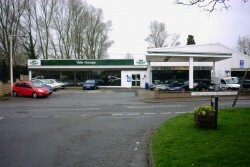 MOT & Service : Tel 01367 710224 / 710777 Customer parking at the rear of the building. For more details please visit the service centre page above. Part Exchange Your Car / Van Against A Newer One. Don't believe the television adverts when 'We Buy Any Car' tell you that car dealers would give you a better deal if you didn't part exchange you old car!!! I WANT your old car or van as part exchange. !!! For a no obligation finance quote please fill in the finance page above.